In 2009 I got my first smartphone, and since then it’s played an essential role in organizing and scheduling my life. Surely your experience is similar. Given that I rely on it so much, I often worry about the apps, tools and websites I’ve chosen. They might be shut down for one reason or another. My data might be leaked during a security breach, or transferred to another company during a merger. I often daydream about creating replacements that would alleviate my concerns and better meet my needs. So let’s talk about Google Keep, an app for Android phones. It’s good for taking notes and setting reminders, but it’s a bit tedious to use. 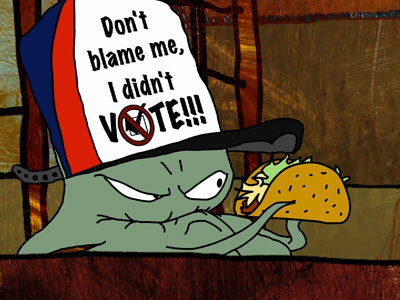 My Google Keep replacement is called Early, named after Early Cuyler, the hard-drinking, truck-boat-truck-driving father from Squidbillies. Here’s a video showing reminder creation in Early. It also shows reminder editing and note creation. Hopefully you agree Early has a better user experience. Webapp - Where you create Reminders, Notes, Milestones, URLs/bookmarks. As seen in the previous video. Early is open source, under the MIT license. Follow these linkes for the Early webapp+API and the Early Android app.